The Skagen Hagen Connected hybrid smartwatch combines innovative technology with a classic, minimalistic design. 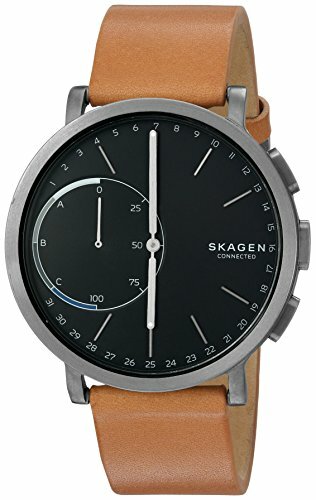 The Skagen Hagen Connected hybrid smartwatch combines innovative technology with a classic, minimalistic design. Features include automatic time and date adjustment, activity and goal tracking, email and text notifications, dual-time function, alarm and SKAGEN Link technology, which allows the wearer to snap a photo, control music playback. 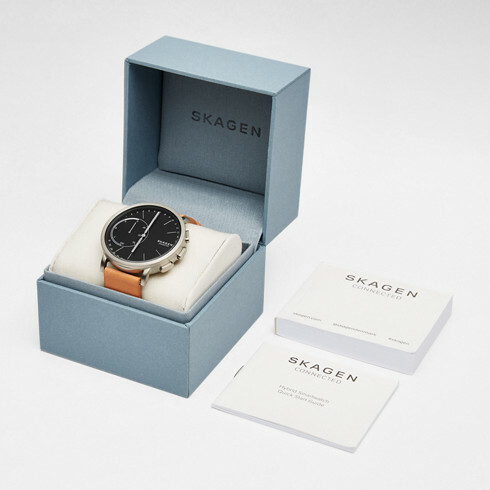 The Hagen Connected is compatible with iOS and Android devices and syncs wirelessly to the free SKAGEN app, where you can view your data and manage settings. 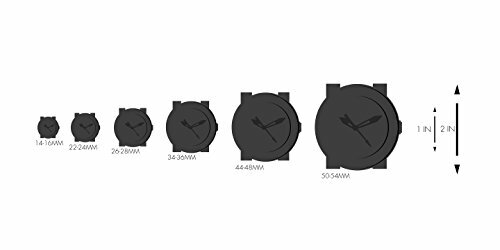 The watch runs on a standard coin-cell battery with a four to six month battery life, so it never needs to be recharged. With the help of the quick-release-pin construction, you can easily change the leather band with other 20mm leather, steel-mesh bracelets or silicone straps. Track your everyday accomplishments including steps, distance, and calories burned and monitor your sleep duration and quality. When a notification or alert arrives for an important text, email or app update, a gentle buzz lets you know right away. Compatible with phones running Android OS 4.4+ or iPhone 5/iOS 8.2+.